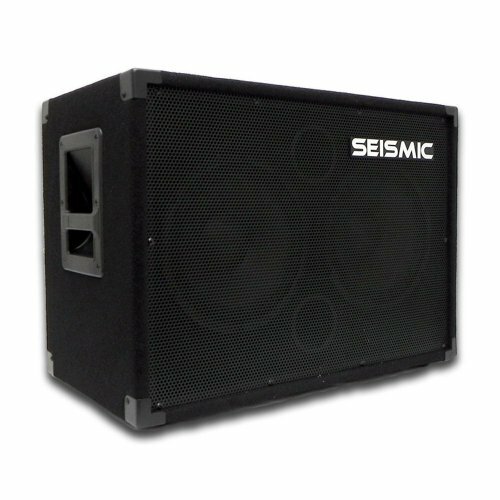 2x10 Bass Guitar Cabinet 4 Ohms Model #: SA-210 (4 Ohms) Woofer: Two 10" - each has a 50 oz magnet with a 2" Kapton voice coil 400 Watts RMS, 800 Watts Peak Impedance: 4 Ohms Frequency response: 40Hz - 5000Hz Sensitivity: 97db 5/8" plywood front panel Black carpet with black metal corners Recessed Handle Full Metal Grill Terminal cup with two 1/4" inputs Dual Ports (both in the middle) HxWxD: 18"x25"x14" Weight: 55 lbs per cabinet Condition: New One Year WarrantyThis is our 4 ohm version of our popular 2x10 bass cabinet. It delivers great punchy tones and smooth low end to be suitable for most applications. The compact design makes it easy to carry around to your gigs. Couple this with our dual 15" bass cabinet to give you some serious low end!